Cheshire finished top of the table in Division Two of the Swim England National County Team Championships 2018. 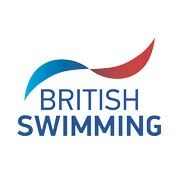 Despite only winning three races, one relay and two individual, they finished 17 points ahead of their closest opponents at Sheffield’s Ponds Forge. The champions ended on 461 points and finished ahead of Nottinghamshire, who were second on 444 points and third-placed Derbyshire, who scored 431. Cheshire’s Boys’ 14-15 years 200m Medley team clocked 1:49.59 to secure maximum points. They were 1.23 seconds ahead of second-placed Nottinghamshire, who clocked 1:50.82, while Sussex finished third in a time of 1:51.23. Lewis Cottam secured one of the maximum points races for Cheshire. In the Boys’ 12-13 years 100m Freestyle, he clocked 56.14 and finished just ahead of Nottinghamshire’s Liam Dawson (56.89). Third place went to Teilo Williams, of Sussex, in 57.22. The third and final first place finish for Cheshire was the Girls’ 12-13 years 100m Butterfly. Eliza Pinkstone put in a great performance and finished more than a second clear of the field in a time of 1:04.82. There was a battle for second place and Hertfordshire’s Valeria Giron clocked 1:06.08 to finish 0.03 seconds in front of Staffordshire’s Chloe Harris (1:06.11). Full results from Division Two of the National County Team Championships can be found here.